XPD is Australia’s own Expedition Adventure Race. Teams of four competitors from around the globe trek, mountain bike, and kayak for three to six days in this world renowned expedition. These adventurers race day and night over a 450-500km course pushing themselves to the ultimate limits of human endurance. Trackers are a great for events that have previously been hard to watch, due to participants moving over large distances in inaccessible areas. Trackers send their latest position to a google map that anyone can view on their phone, tablet or computer. Do You Have An Idea for An ADVENTURE Event? We have an Intimate Knowledge of Australian Wilderness and Connections around the Globe. Expedition Oregon - Day One. Twelve hours into Expedition Oregon and the lead teams are halfway through the first Packraft stage. However, the day didn’t quite go to plan first thing this morning when all of the teams boarded the bus and it went in the wrong direction towards last years startline. Consequently, the teams were a little late arriving and the start was delayed by 10 minutes. In a repeat of last year, Quest AR are setting the pace from the start and challenging other teams to stay with them. Teams were quickly into snowshoes this morning as they climbed Maiden Peak and it was the Swedish team Naturkompaniet that has given chase the hardest. The French team Alpha Dental was also with these leaders but just after CP6 on the way to the first transition they lost a little time with a slightly slower Nav line. These three lead teams had about a 30 minute lead at the first transition over a cluster of American teams, Mountain Race Company, Bones, Untamed New England, and Journey Racing with the Canadian team Leki/BendRacing right in the middle of this group. Most teams are now on the 30 mile Packrafting stage and as the sun starts to lower on Day One they’re crossing the Lava Fields. There is one tricky checkpoint to find in the middle of the Wikiup Reservoir tonight but otherwise, Navigation doesn’t look too difficult on the first night. ARWS - Adventure Racing World Series updated their cover photo. Teams are underway at Expedition Oregon USA for the third race of the 2019 ARWS Season. Expect some close racing between the best teams in America, Canada and Europe. Nervous anticipation is growing in Oregon as teams have just one short sleep before the 8am start tomorrow. The first three Stages have a total of 60 miles with about a 55/45% split between Trekking and Packrafting. Stage 1 is a tough hike over a snowy Volcano with 4,500ft/1400m of Elevation. Stage 2 is mainly Packrafting but it also crosses a lava field so this could be hard on competitors feet. Stage 3 is a classic 10 mile Jason Magness Orienteering section made up of Forestry roads and trails with some off trail as well. Stage 4 is a solid 80 mile Mtb which most teams will enjoy as it has a good mix of Forestry roads/trails and possibly some hike a bike. Stage 5 is another 30-mile Packraft with Grade 2 and 3 white water with several portages. Stages 6 and 7 are short with just 10 miles of Mtb on forest roads and trails, followed by another quick off trail 6-mile Orienteering section. The race ends with what looks like a nice tough bike section of 65 miles, with 6,000ft of Elevation. This stage consists of tracks, forestry roads and trails with an Expedition Oregon specialty of Trekking, Rock Climbing and possibly an Abseil. Normally with most courses, you can look at them and see a portion of the course that is going to be critical but this one is so evenly balanced, that no one section stands out. Obviously, the Orienteering section will be important to get through efficiently but not critical. It will be hard for the top teams to make a break from each other so any advantage will be earned and hard fought for. This could easily come down to the last bike leg again, like last year, where the lead positions changed several times during the last few hours. By Craig Cook the Dotwatcher. Put the 17th - 26th July next year into your calendar for Australia's own expedition race - XPD! An epic 500km journey for teams of four across iconic landscapes. Save the date! Geocentric Outdoors shared a live video. 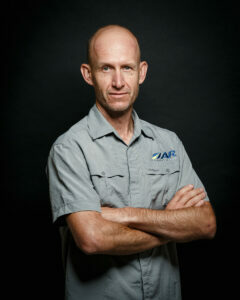 Well done to our Aussie team racing at ARWS - Adventure Racing World Series in Expedition India, great work. 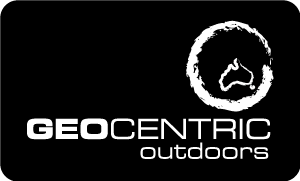 Geocentric Outdoors updated their profile picture. Track Me Live shared a post. Postal Address: PO Box 542, BUDERIM, QLD 4556, AUSTRALIA.